France's new anti-terror bill will allow police to continue to carry out house raids without a warrant and restrict suspects' movement. Rights advocates decried the bill, but it met with little public resistance. France's lower house of parliament on Tuesday voted overwhelmingly in favor a new anti-terrorism bill, taking several measures in place under a 2-year-old state of emergency and enshrining them permanently into law. The new law will bolster French police's search and surveillance powers, allow suspected terror sympathizers to be confined to their residences or neighborhoods and make it easier for authorities to close mosques suspected of preaching hatred — all without seeking prior permission from a judge. Lower house legislators adopted the bill by a margin of 415 to 127, with 19 abstentions. It was approved by the upper house Senate in July and is expected to easily pass through the National Assembly, where President Emmanuel Macron's En March! party (LREM) boasts a comfortable majority. Ahead of the vote, Interior Minister Gerard Collomb described France as being "still in a state of war." Since 2015, over 240 people have been killed in France in attacks by assailants who pledged allegiance to, or were said to be inspired by, the "Islamic State" (IS) terrorist group. French authorities have continued to struggle to deal with the domestic threat that foreign jihadis and homegrown militants continue to pose. On Sunday, a Tunisian man yelled "Allahu Akbar" — Arabic for God is Greatest — before fatally stabbing two women outside the central station in Marseille. "Lawmakers realize that today's threat is serious and that we must protect ourselves against terrorists," Collomb told reporters following the vote. "This must be done in a way that balances security and freedom. This text will help protect French people." Macron's predecessor, Francois Hollande, declared a state of emergency immediately following the November 2015 attack in Paris, which saw Islamist suicide bombers and gunmen kill around 130 people. The state of emergency was intended to be a temporary measure but has since been extended six times. 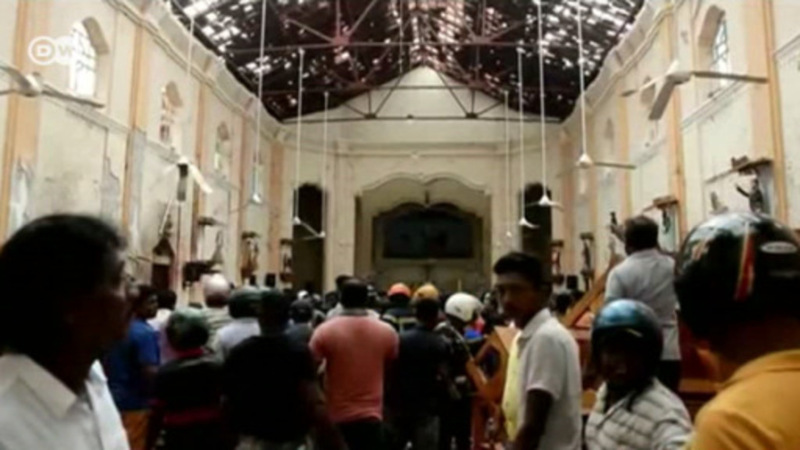 The government has claimed that the emergency powers in place since then have prevented similar attacks from being carried out. While France has traditionally been characterized by its proud human rights traditions, the new anti-terror bill was met with little public resistance. In fact, a poll published by France's Figaro daily showed that 57 percent approved the bill, even if 62 percent thought it would encroach on personal freedoms. Rights campaigners, however, were quick to warn that the new laws eroded a number of civil liberties. Read more: Minority Report à la française? "There is a numbness of public opinion with regard to the defense of our liberties, a numbness that gets renewed with every terrorist attack," said Emmanuel Daoud, a lawyer and member of the International Human Rights Federation. In a statement, international rights group Human Rights Watch said, "France has become so addicted to the state of emergency that it is now injecting several of these abusive measures into ordinary law." UN experts also last week raised their objections to the French government's measure. "The normalization of emergency powers has grave consequences for the integrity of rights protection in France, both within and beyond the context of counter-terrorism," said UN human rights expert Fionnuala Ni Aolain. On October 1, 2017, A local Nevada retiree carried out the deadliest mass shooting in modern US history, killing 59 people and wounding hundreds more at the Route 91 Harvest Music Festival in Las Vegas. The Las Vegas massacre is just the latest in a string of mass shootings in the US this year. Before the attack in Las Vegas, the mass shooting at a gay nightclub in Orlando, Florida on June 12, 2016 was believed to be the deadliest in modern US history. Twenty-nine-year-old gunman Omar Mateen opened fire at the Pulse nightclub, killing 49 people and injuring dozens more. The US band Eagles of Death Metal were performing at the Bataclan in Paris on November 13, 2015 when gunmen stormed the concert venue. A total of 130 people were killed that night, including 89 at the Bataclan, in coordinated attacks by several groups of gunmen and suicide bombers at various locations throughout the French capital. The "Islamic State" claimed responsibility for the violence. A shooting during New Year's Eve celebrations at Istanbul's popular Reina nightclub on January 1, 2017 left 39 people dead and dozens more wounded. The "Islamic State" claimed responsibility for the attack that was carried out by a gunman from Uzbekistan. He was arrested just days later. The trial is still pending. A homemade bomb detonated on May 22, 2017 as concertgoers, including children, were leaving an Ariana Grande concert at the Manchester Arena. Twenty-two people, as well as the bomber, were killed, and roughly 250 more were injured. Police said 22-year-old Salman Abedi had acted alone but that others had been aware of his plans. On July 24, 2016, a Syrian refuge blew himself up in Ansbach in southern Germany, injuring more than a dozen people. The 27-year-old Syrian man, who had been denied entry to an open-air music festival because he did not have a ticket, detonated his bomb outside a wine bar. At Germany's Rock am Ring music festival, authorities suspected a terror plot possibly linked with local Islamists in the western state of Hesse when they were unable to identify two Syrian workers. As a precautionary measure, all 87,000 festivalgoers were evacuated from the concert grounds on opening night, June 2, 2017. It turned out to be a false alarm - the workers' names were misspelled. Minority Report à la française? US-backed Kurdish forces say they have liberated the last enclave held by "Islamic State" militants in eastern Syria. But Germany's foreign minister warned the world not to celebrate too soon. The UK is planning to join the US, Canada, France and the Arab League in banning all wings of Hezbollah because of its destabilizing Middle East influence. The move would affect the Shiite group's political wing. 'Yellow vest' protesters have again marched through Paris and other French cities to voice their anger at President Emmanuel Macron. Although noticeably calmer than previous weeks, police deployed tear gas at one point.